(L-R) Landowner Dr. Jolyon Johnson, Ausbon Sargent Executive Director Debbie Stanley, Chair of the Sunapee Selectmen Joshua Trow, Sunapee Conservation Commission Chair Van Webb, and Ausbon Sargent Land Protection Specialist Andy Deegan following the closing of the Wendell Marsh Expansion project in Sunapee. 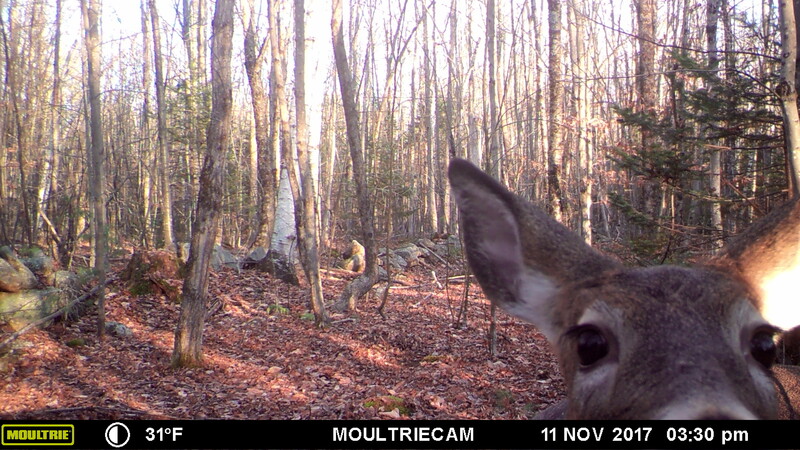 NH Fish and Game began the conservation efforts in this area in the 1960’s. 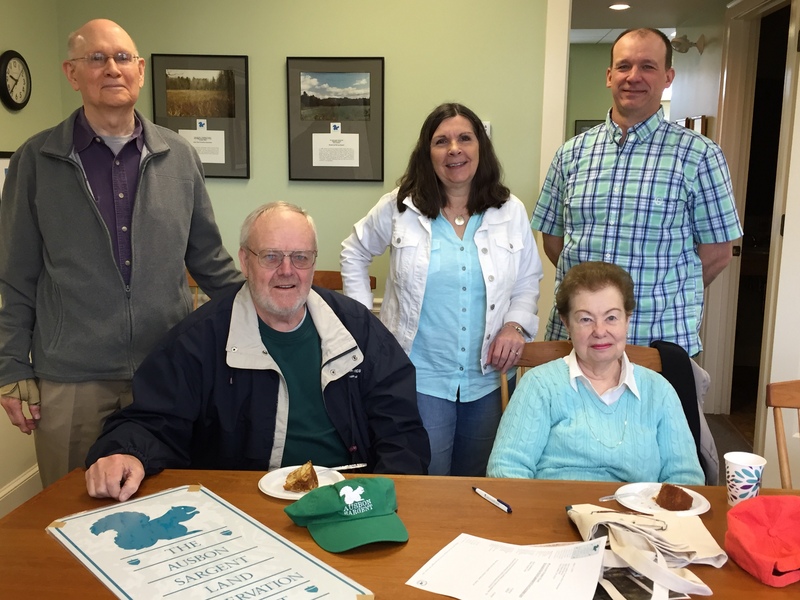 They protected the 10-acre Wendell Marsh Wildlife Area, identified as a high priority for conservation by the Town of Sunapee due to its pristine wetland habitat for waterfowl, wading birds, and other wildlife, as well as for water quality protection. 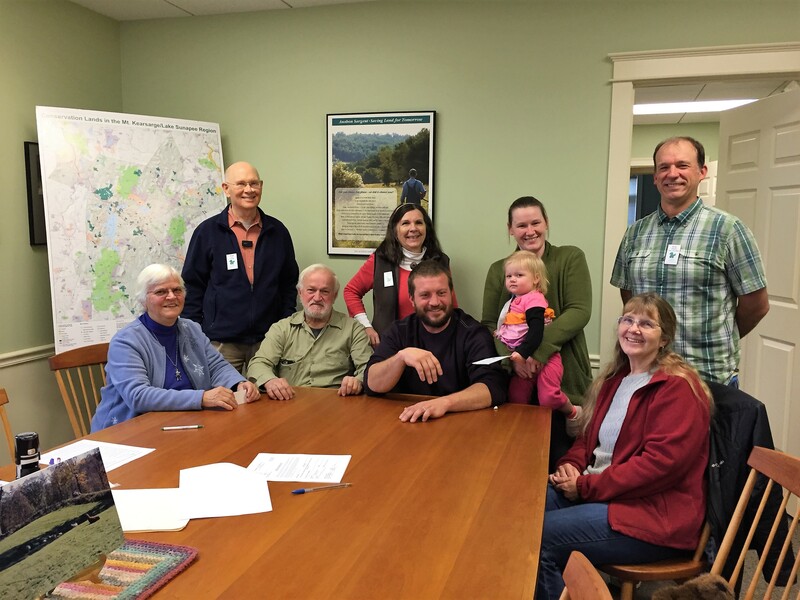 In 2013 Ausbon Sargent partnered with the Town of Sunapee’s Conservation Commission to protect 136 acres in a project referred to as Wendell Marsh North followed, in 2015, with an additional 143 acres named Wendell Marsh South. Dr. Jolyon Johnson shares responsibility for making it possible to protect more than half of the conserved acreage in the Wendell Marsh area. For two of the three parcels mentioned above, he purchased the property and held the title until the funding was in place for the Town of Sunapee to buy the property from him in a “bargain sale.” With the potential for development in that area, we are very grateful to Dr. Johnson for his help. Ausbon Sargent thanks the Town of Sunapee, The Burton D. Morgan Foundation, the Sunapee Conservation Commission and the many people who have contributed to this project. 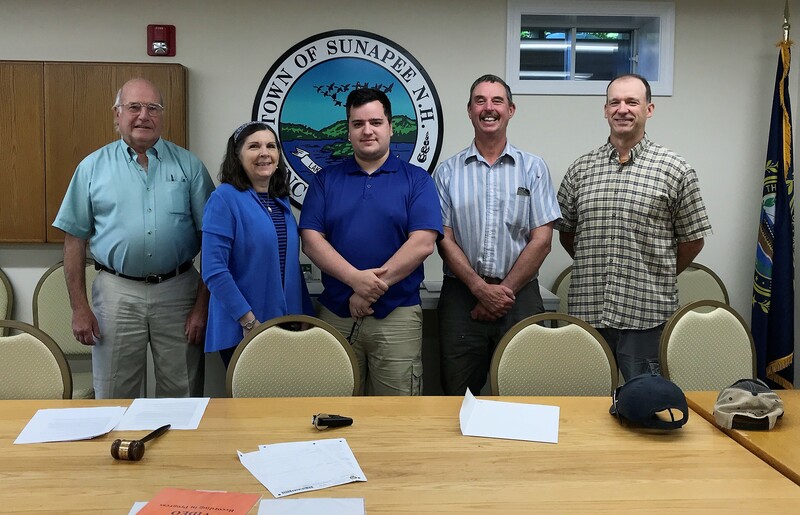 The Town of Sunapee owns the land and Ausbon Sargent holds the easement. Through the support of so many, Ausbon Sargent now protects 11,348 acres on 146 properties in our 12 town service area.